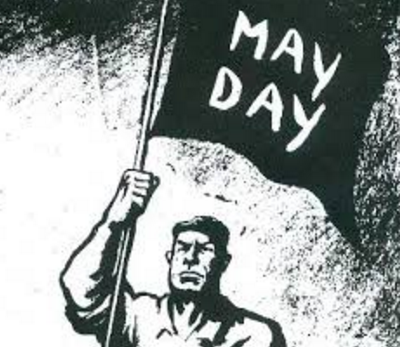 May 1 was celebrated around the world as May Day. Like every year, there were at least two important celebrations associated with it. One celebration was for the International Workers’ Day or Labor Day. Workers in many countries gathered around to express their unity and also voice their concerns. In Kuala Lumpur (capital of Malaysia), Lisbon (capital of Portugal), Colombo (Sri Lanka), and Manila (capital of the Philippines), people asked for better working conditions, higher salaries, and more jobs. In Buenos Aires (capital of Argentina), people protested against the large number of recent job cuts in the country. In Istanbul (Turkey), Seattle (United States), and Paris (capital of France), the protests turned violent. A few people were hurt, and some were arrested. There were many more protests held around the globe. Why did May 1 become a day to celebrate the workers of the world? On that day in 1886, large rallies were started by workers in various cities in the United States to shorten the working day. The rallies lead to some riots in Chicago, USA which resulted in the death of several workers as well as policemen. In 1889, an international labor organization decided in Paris, France to choose May 1, 1890 as the day to commemorate the workers’ fight for an eight-hour work day across the globe. Since then, May Day has become an annual event celebrated by several countries in the world. May Day is also celebrated as the first day of summer in many cultures. 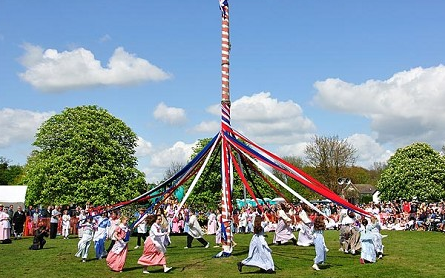 A tradition in the United Kingdom is for people to dance around Maypoles which are wooden poles decorated with flowers and ribbons. In France, some people present their loved ones with stems of lilies of the valley (a type of flower). Some Americans hang a basket of flowers on a neighbor’s door knob. A German tradition is for the people of a village to steal the Maypole of other villages. If you say “Mayday” three times, it becomes a call for help. Mayday is often used over radios by boats and ships, for instance, to indicate that they are in trouble and need help. This word, though, has nothing to do with May Day! It is believed to originate from “M’aider” which means “help me” in French.